It's 2018. Isn't it Time You Looked Into the Cloud? The Cloud is delivering benefits of business agility, competitive advantage and cost reductions to companies that have moved their workloads. If your business has yet to make that move, at the very least you should make investigating Cloud services one of your 2018 initiatives. But there are many things you need to evaluate when considering a move to the cloud. What hat type of Cloud is right for your organization? How do you know what workloads to move to the Cloud and when to move them? Where can you derive the greatest benefit for your business in terms of agility, time to market and competitive edge? Where will you realize the most cost savings? How might you use Cloud Computing to grow your business? How do you choose the right Cloud Provider? What’s your Cloud strategy? Advantage can help. Our CloudAdvantage team is comprised of former CIO’s from major US corporations who have applied years of first-hand experience to develop a unique framework for migration to the Cloud. This team will work with you to identify unique business drivers, develop a business case and cloud strategy, and solicit and evaluate bids from appropriate providers. Once you decide to make the move, Advantage's project management team will create an implementation plan, complete with a migration roadmap and milestones, and will manage and track the entire project - ensuring that you realize all of the promised benefits. 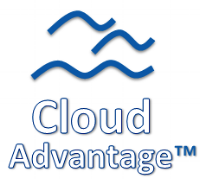 Click this LINK or Contact info@advantage.com to learn more about our “3 Steps to the Cloud” approach.